A KISS GOODNIGHT Made of a combination of reds and berry wines. 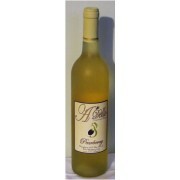 It can become fun and fruity with flavors reminscent of a chocolate fruite cake. Plus everyone needs a kiss goodnight. ..
2015 Cabernet Sauvigon Released 11/11/2018. 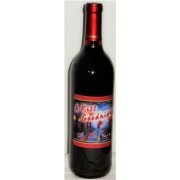 LIMITED SUPPLY The Cabernet is a full-bodied red wine with dark fruit flavors and savory tastes from black pepper to bell pepper. This was aged for three years in a hungarian oak barrel. ..
Come create your own perfume blend and a complimentary glass of wine. $25.00 per person. Did you know the average woman applies over 500 chemicals to her skin each day? Perfumes are made up of pure fragrance and include skin Irritants and chemicals like formaldehyde. 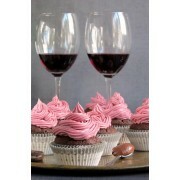 J..
Wine and Cupcake Pairing Come out for a fun night at A’Dello Winery and Vineyard. You will receive 5 miniature gourmet cupcakes pair beautifully with 5 A’Dello Wines! Bring your dinner to start your evening and spend time enjoying the beautiful w..
PEARBERRY Infused with fresh pears and blackberries. This Wine is delightfully sweet. Enjoy over ice or blend with natural fruit for the perfect wine smoothie. Made with 100% fruit. 50% pear wine and 50% blackberry wine. ..
Razzadello the sweet taste of summer. 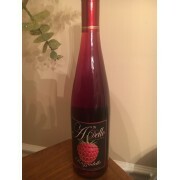 This 100% Raspberry wine is a great pairing with chocolate or cheesecake. This is a fan favorite. ..